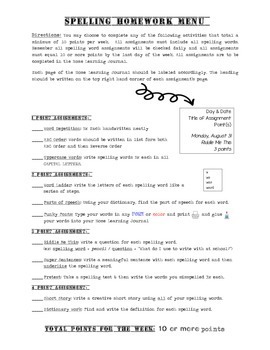 A great way to make sure your students are not getting bored with repetitive spelling home assignments Is to let them have the option of what to do. It will give them a sense of independence. I will be using this with my students as a weekly homework assignment.